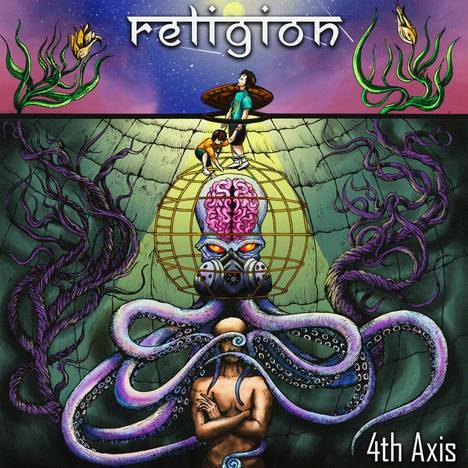 Religion | 4th Axis | OK Listen! Religion is the debut album by New Delhi based musician Kanwaljeet (Bardar) with his band, “4th Axis”. 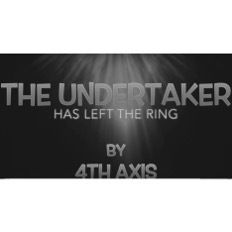 The album has an alternative rock sound associated to it. The concept of the album is based on disillusionment and eventual escape from religion. 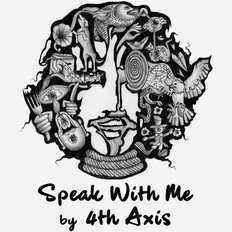 Its themes explore introspection, Science, comedy, debate, etc. as means to peeping out of the umbrella of religion. It also includes themes on war, nihilism, depression and existential crisis. Bardar started working on the album in Summer 2014 while he was working as an analyst at The Boston Consulting Group. During that time, he encountered a phase of existential crisis whence he discovered the devastating effects religion has had on humanity. After writing the music and lyrics, he collaborated with Delhi based musician Anupreet Kaur to record the album. Religion features a mix of styles with Alternative Rock, Dream Pop, Space Rock, Ambient, Acoustic and a tint of Jazz. The songwriting was done entirely on the guitar with obvious hints of heavy influence from Iron Maiden and Porcupine Tree/ Steven Wilson. With an idiosyncratic length of songs and a mix of acoustic piano, keyboard/guitar effects, the overall sound of the album flickers between rock and ambient acoustic. All songs were recorded at Plug & Play Studios, with the exception of Conflict which was recorded at Kintsugi Studios. Mixing and Mastering of all songs was done by Anindo Bose at Plug & Play Studios. The album features a total of 11 musicians (including Bardar and Anupreet) on the instruments. The art work for the album was made by Pallab Baruah.